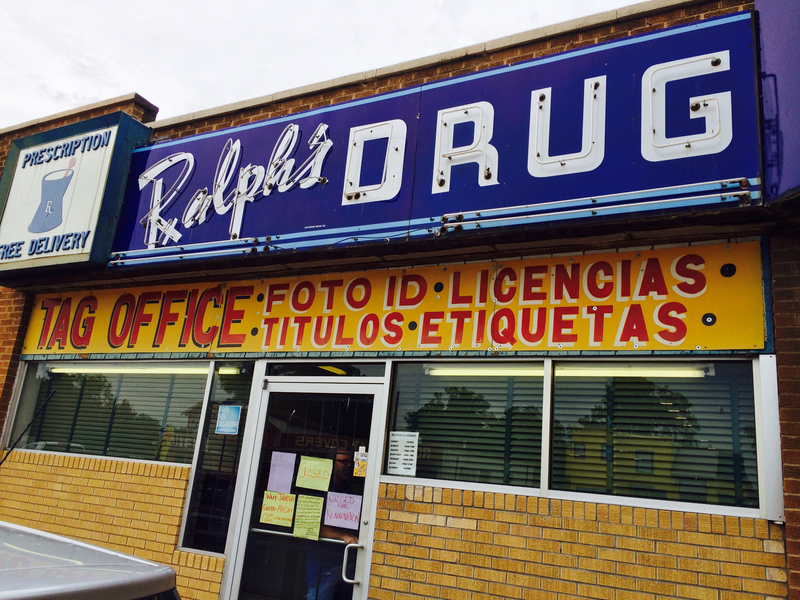 In September 2014, the Billboard Museum acquired the Ralph’s Drug sign located at SW 29th and Blackwelder in Oklahoma City. This sign dates from 1947 and is significant to the local community. 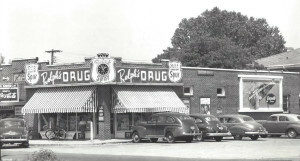 The store was a family-owned business that was in the neighborhood for 67 years. In fact, while the sign was being removed, a woman who lived nearby saw the sign coming down and arrived to take photos. She told Monica Knudsen of our Board that her dear friend’s mother had worked there for years. The mother was now deceased and the sign was a reminder of a cherished friendship. She told Monica she remembered the day the store was robbed. Her friend’s mother stuffed the money safely in the trash can by her desk. This is just one tale to be told about this venerable old business. 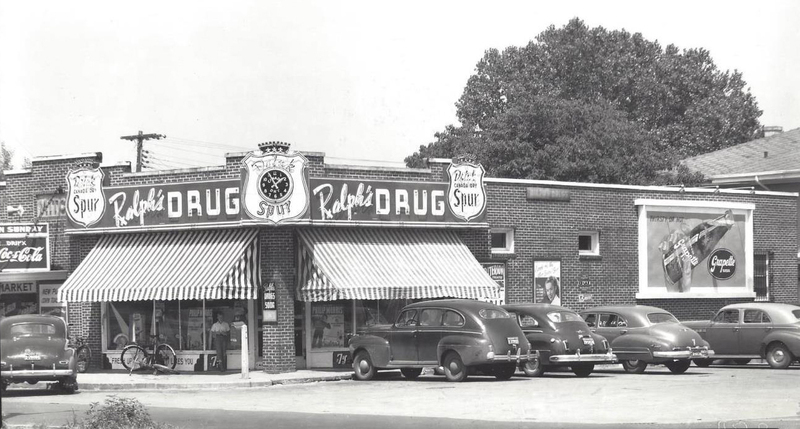 Ralph’s was opened in 1947. 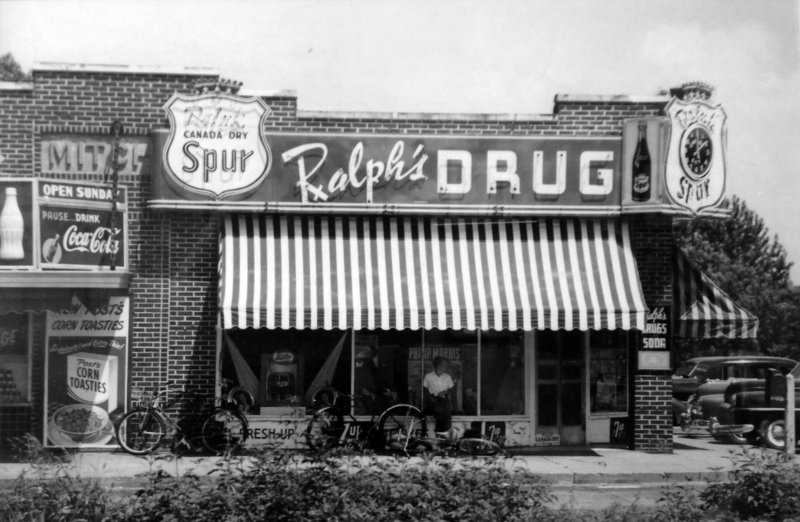 A family bought it in the 1960s from the original owner, whose name was Ralph and they decided to keep the name. 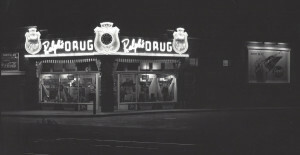 First it was a drugstore then a tag agency was added to the drug store several years later. The building was sold in the summer of 2014. It was determined that since the new owner was not going to have a pharmacy, legally the sign could no longer be on display. Years ago, the sign also had three emblems advertising Canada Dry Spur Cola as well as a clock. Spur was Canada Dry’s version of Coca-Cola, made until sometime around the mid-50s. Unfortunately, the Spur emblems and clock no longer exist, but we intend to recreate them. The estimate to fabricate the ends and the neon clock, plus make other repairs and fixes to restore one side is about $10,000.00. Materials would be about $3,000.00, with labor making up the rest of the cost. If you are interested in helping restore this sign, please donate! Help us Restore the Ralph’s Drug Store Sign.